This search engine optimization tutorial covers SEO and how it works. Learn about ways to improve SEO and increase traffic to your blog. Search Engine Optimization (also known as SEO) is defined as the process of affecting the visibility of your website (or blog) in a search engine’s unpaid results. When a reader does a internet search for a question or term, a search engine will return the best results. The higher ranked your website is on a search results page, the more visitors you will receive to your site from that search engine. More visitors means more traffic and more sales. There are many people who say that SEO is helpful and even necessary. And there are others that would advise you not to bother. The problem with SEO is that search engines are constantly changing the formula for which they rank websites. Once the experts seem to figure out how to use the system, a search engine will change the way they review sites. This often leaves those once popular sites, lower on the search result pages. For example, Google often does search algorithm updates. These updates are tweaks to how they determine which websites should show up in search engine results. No one (except Google) knows exactly what they are looking for, when determining ranking. Therefore, there are people who believe that SEO is impossible. However, this does not mean that YOU should not make SEO a part of your blogging strategy. There are numerous things that you can do to ensure that your blog withstands any search engine algorithm changes. If you are interested in receiving search engine traffic to your site or blog, I believe that you should definitely pay some attention to search engine optimization. As I mentioned above, there are numerous things that you can do to put your blog in the best possible position to be ranked. Following are the types of SEO you should pay attention to. On page SEO is optimizing your blog posts and pages for search engines. There are several ways you can do this. Your first step is to start with a keyword that you want to rank for, as well as several other related keywords. To determine this, you need to do keyword research. Once you’ve nailed down a main keyword and related keywords; you want to place that keyword in your blog URL, title, meta description, subheading, and image name. You want to sprinkle your related keywords in other subheadings, and throughout your post. My meta description might be: The best blogging tips for a beginner blogger. 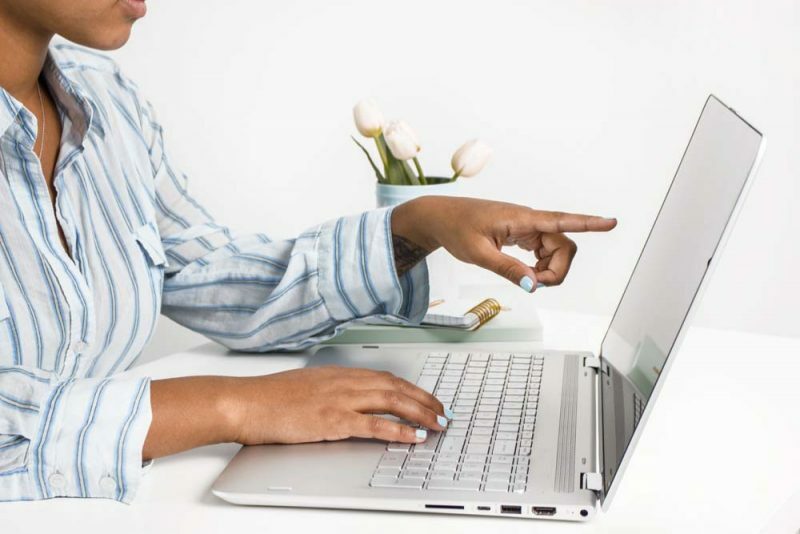 Learn how to start a blog and make money blogging. A subheading (within the post) might be: Blogging Tips for SEO. My image name might be: SEO Blogging Tips. You can choose your URL, blog title, and subheadings right in your WordPress blog post dashboard. To add a meta description to your post, you can use an SEO plugin like Yoast SEO. In fact, using an SEO plugin will help you to determine if you are on the right SEO path. You also want to link within your own blog (internal linking). This helps search engines (and visitors) to find other posts on your site. The more trustworthy a site is, the more attention that site gets from search engines. Site trust has to do with the age of the site, as well as who is writing for the site. For example, medical posts written by doctors often rank higher than medical posts written by someone without medical experience. You can’t do much about the age of your site. However, there are things you can do to show that you are an authority on a subject. Make sure your site has an about page that lists who you are and what your site is about. Add any relevant awards, or degrees, you’ve received. Create an author bios page, if you have more than one site author. Or consider an author bio at the bottom of each blog post. Include links to guest posts. Especially if they are guest posts on authority sites. Create a contact page for people to contact you. All these steps will make your site appear trustworthy in the eyes of search engines. Links to your site, from other authority sites, also helps search engines to determine how to rank your site and posts. If you write great posts, other sites should link to you over time. In the meantime, you might want to consider guest posting to build up backlinks. The more backlinks you have, the more popular you appear to be to search engines. Lastly, social shares from you and others shows search engines that people are enjoying your content. Make social sharing a part of your regular SEO strategy. 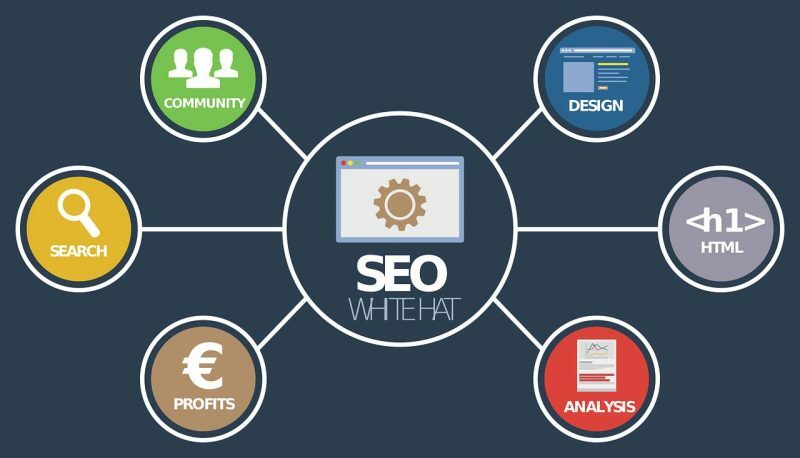 There is bad SEO, known as Black Hat SEO; and there is good SEO, known as White Hat SEO. Don’t get caught on the dark side of Black Hat SEO. You may get penalized and your site might not recover. White Hat SEO is employing the SEO tips I mentioned above. Black Hat SEO is doing things to try to game the system. For example, keyword research is good. Overusing that keyword, within your post, is bad. Keyword stuffing, using multiple keywords numerous times, is also bad. Your post should always be for your reader first. You should create quality content, that reads well. Other Black Hat SEO methods are paying for links, and sometimes link swaps and linky parties or threads. Keep in mind that there is a grey area to Black Hat SEO. There are many bloggers that do link parties, or link swaps, without issue. The key here is to think about whether the links you receive are natural. Search engines are looking for natural links, to your blog posts, from relevant sites. If your site is receiving a lot of random backlinks from non relevant sites, your site may get flagged. There are numerous other strategies you can use to help increase your visibility with search engines and with readers. The best posts solve a problem for their readers. Think about how you, and your readers, use search engines. You are usually searching for the answer to a problem. Therefore, think about problems that your readers might have and write posts that solve those problems. Another SEO tip is to create super long content. Search engines are looking for thorough posts on any given topic. If you create a long post that solves a problem, or answers a question, you stand a better chance of out ranking your competitors. Lastly, create click worthy titles that catch your readers attention. For example, Blogging Tips for a Beginner Blogger is ok. However, The 5 Best Blogging Tips for a Beginner Blogger or 5 Secret Blogging Tips for a Beginner Blogger is better. See my post on SEO tips for additional tips and information. As bloggers, we can often be impatient. You’ve put a lot of work into your SEO and you want to know when you can expect to see results. The age of your blog plays a part in how quickly your posts will get ranked. Newer blogs have less authority. However, this doesn’t mean you will never rank of page one of a search engine results page. It just means that you have to put more work into the steps outlined above. Also, many bloggers choose high competition keywords that they won’t ever rank for. When doing keyword research, make sure that you are choosing keywords that are relevant to your niche. You also want to choose lower volume keywords that you can rank for. Lastly, you need to take a look at your blog foundation. The foundation of your blog is important because it is the base in which everything rests upon. This includes your theme, site speed, and more. If your theme is not a responsive theme, meaning that it views well across computers, tablets, and cell phones; you may rank lower than blogs that do have a responsive theme. If your site speed is slow, you’ll rank lower than sites that have a quicker load time. 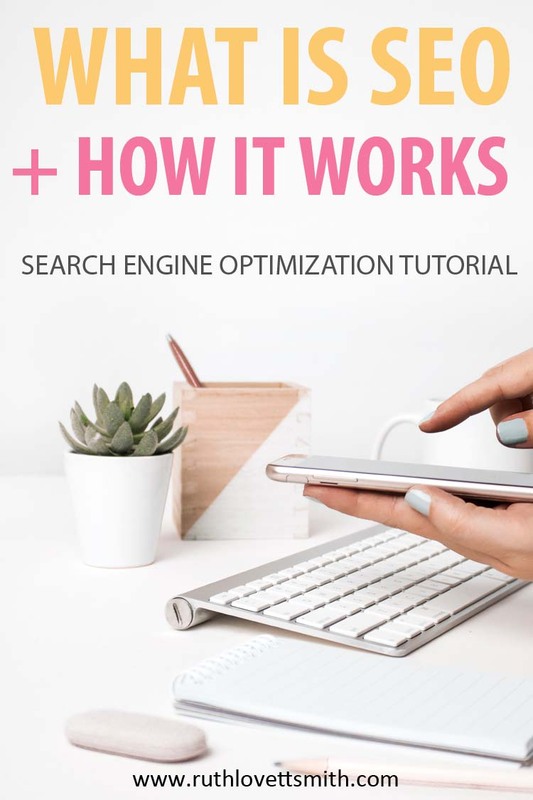 All that being said, if you’ve addressed all of the search engine optimization tips mentioned in this post; you can expect to see your blog post in search engine results within a few days to weeks. If you picked a keyword you can rank for, you may see your blog post on page one within a few months. I hope you’ve found this SEO tutorial helpful. Search engine optimization can be a huge part of getting traffic to your blog, as long as you do it well. It takes strategy, time, and patience. SEO is a marathon, not a sprint. However, if you keep SEO in mind with each and every post that you write; you’ll start to see an increase in your traffic over time. Looking for more great tips? Check out my page on how to increase traffic to your blog.